Fig. 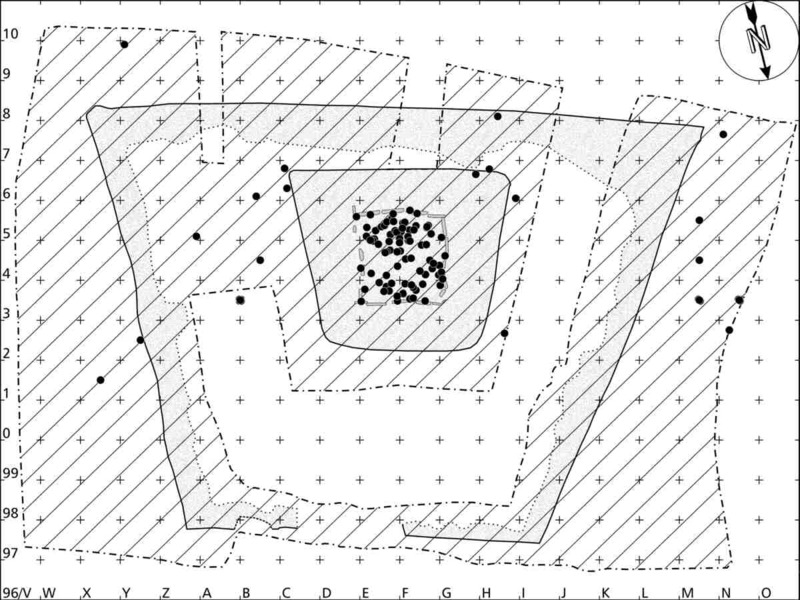 43 - Horizontal distribution of artifacts of all excavated surface. Drawing: R. Blumer, 2001. For problems or questions regarding this web contact rblumer@vtx.ch.